We keep up with the local farmer’s production and seasonal availability, so our meal plans are updated weekly. Please sign up for our mailing list to receive our weekly menu. Menu is updated every Friday at 7pm ET. Orders must be placed on or before Saturday at 5pm ET to receive Monday delivery. Delivery time and location located on order form. Zucchini Noodles. Capers. Olives. Cherry Tomato. Red Onion. Cucumber. Feta. Heirloom Tomato. Cucumber. Fresh Herbs. Balsamic. Israeli Couscous. Dried Mango. Grilled Apple. Grilled Pear. Wild Rice. Pomegranate Seeds. Dried Cranberries. Feta. Pecans. Arugula. Brown Rice. Asparagus. Zucchini. Red Peppers. Tomato. Onion. Eggplants. Tomatoes. Squash. Zucchini. Sweet Peppers. Basil. Vegan Prepared Red beans. Red Peppers. Onion. Brown Rice. Mixed Greens. Blueberry. Apple. Mandarin Oranges. Red Onion. Feta. Dried Cranberry. Red Onion. Citrus Vinaigrette. Heirloom Tomatoes. Mozzarella. Basil Vinaigrette. Expect to receive fun recipes, health facts, and This Week’s Menu, containing tasty, yet healthy, options for you and your loved ones! Have special dietary concerns? Weight loss or weight gain goals? Specific chronic conditions or ailments? Our Custom Chef Meal Plan can assess, in detail, your needs! 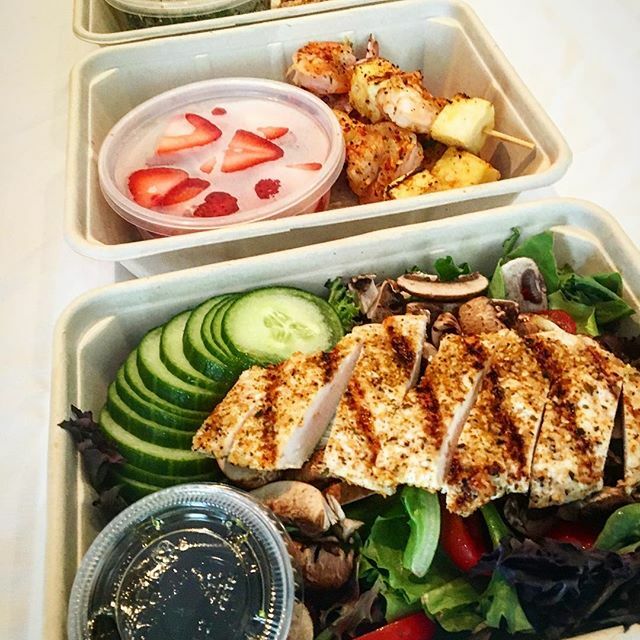 Click button below to complete our survey for your Custom Chef Meal Plan! One of our team members will contact you to discuss your specific meal plan, in further detail.